Before all else—model, poet, entrepreneur—Jaycina Almond is a mother. Her 16 month old daughter, Syx, is the sun around which her many worlds orbit. At 22 herself, she has made the decision to build her work around her personal life, not the other way around. Composed and soft-spoken, one may not first realize that Jaycina (who goes only by her first name) is a formidable creative powerhouse. LINE UP: Jaycina took us to one of the most photographed places in Atlanta, the Westside Provision District’s walking bridge. It didn’t disappoint! Jaycina wears Striped Bodice Crop Top, High Waisted Striped Wide Leg Cropped. Bag, her own. 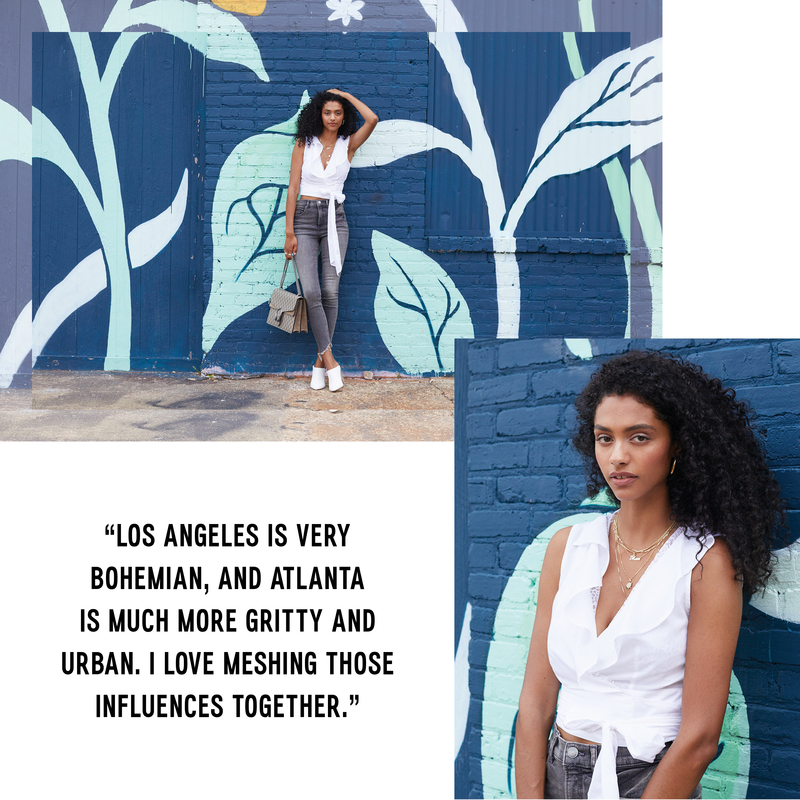 A Kentucky native, Jaycina now divides her time between Los Angeles and her home in the Reynoldstown neighborhood of Atlanta. 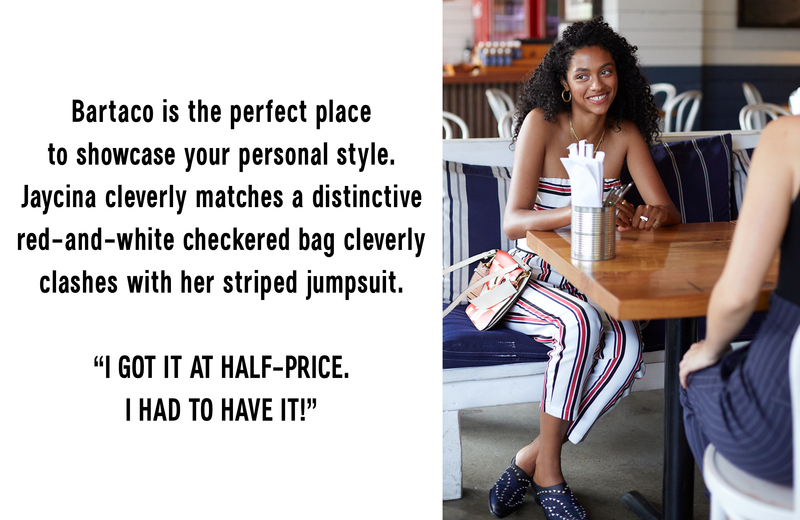 We got her to show us some of her favorite spots to nosh, shop, and wander about—and captured her in some of our most fashion-forward summer trends (stripes, much?). Read on for her insider’s guide to one of the coolest cities in the country. 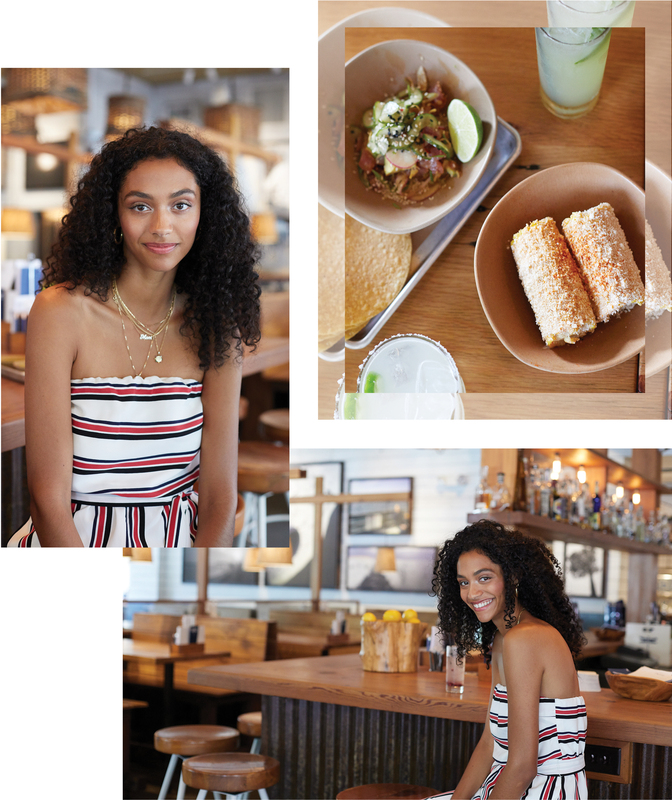 STRIPES ON STRIPES: Public Service Announcement: the light at Bartaco in Inman park is positively golden making it the perfect date spot. Just look at Jaycina glow! She wears an Express Tapered-Leg Jumpsuit. Jewelry, shoes, and bag, her own. 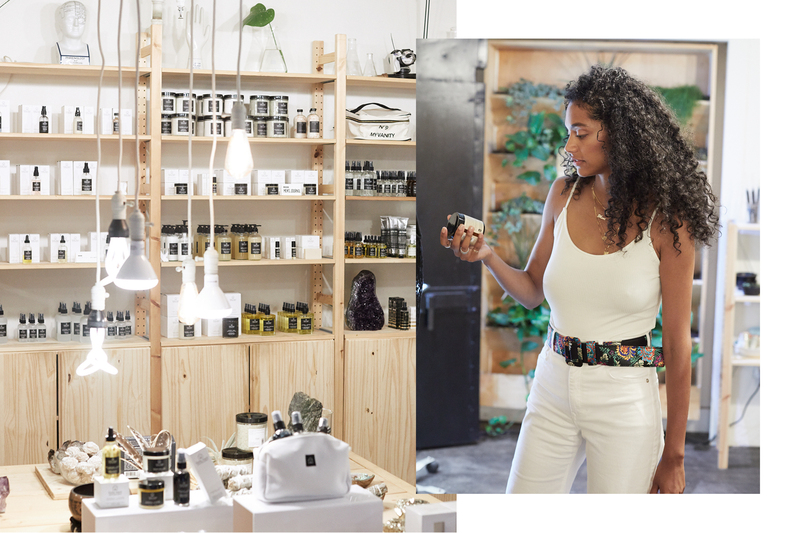 WHITE OUT: The excellent curation and selection of items from crystals to eye masks at Little Barn Apothecary is just one reason to go there. The other? It smells amazing! 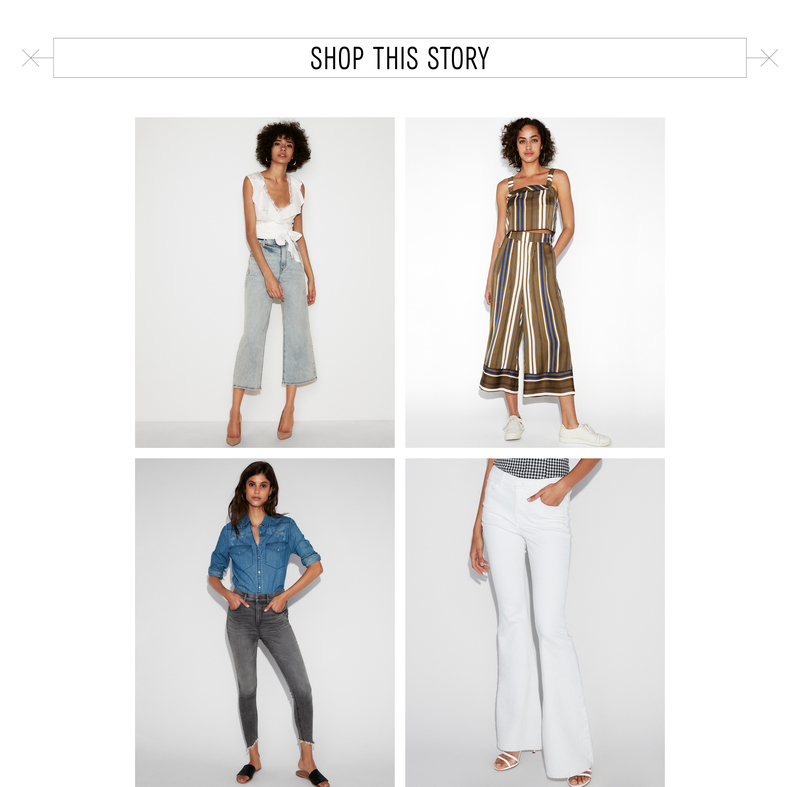 Jaycina wears an Express Best Loved Cami, and High Waisted White Bell Flare Jeans. Belt, her own. 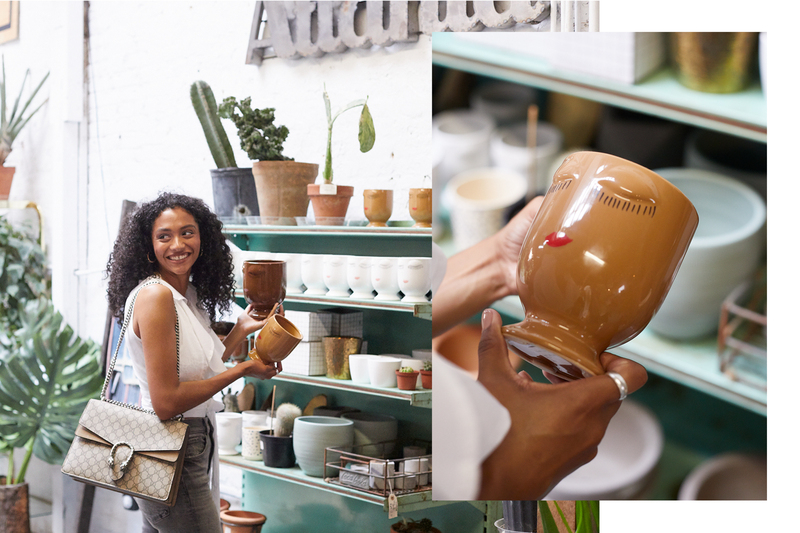 Paris on Ponce—a favorite shopping destination for Jaycina—is a behemoth vintage retail marketplace and event venue situated centrally in the city’s historic (and hot-with-development) Old Fourth Ward neighborhood. It is a veritable pantheon of rotating treasures. Artfully merchandised stalls brim with furniture, vintage barware and succulents. The meandering rows seem to stretch on forever, sprinkled intermittently with thoughtful amenities, like a stylish bike rental program that capitalizes on the building’s prime location off the Atlanta Beltline. CURIOUS CURIOS: We won’t lie: we might have tried to buy every little funny thing in Paris on Ponce! Jaycina almost walked away with a sofa. She wears Ruffle Surplice Wrap Top, Super High Waisted Denim Perfect Leggings, and Solid Slide Mule Booties. SING THE BLUES: Jaycina poses in front of muralist’s Ouizi’s work, taking in the moody tones.